Main page » Open Badgeholder » Chrom Business Cardholder / 100 Pcs. 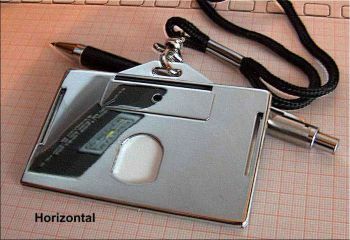 Chrom Business Cardholder / 100 Pcs. 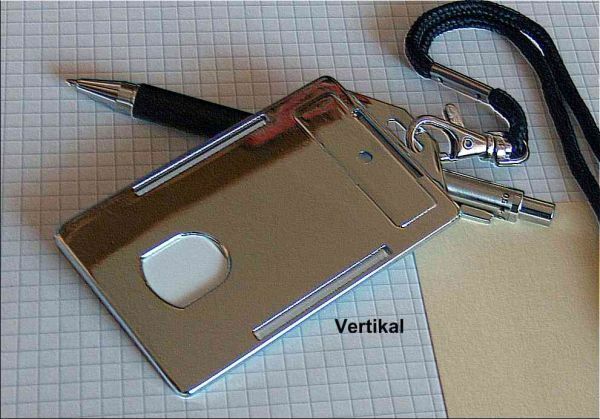 Exclusive, open business-Badgeholder of high-quality, fully chromium-plated hard plastic. Badge holder for the highest demands in optics, quality and functionality. 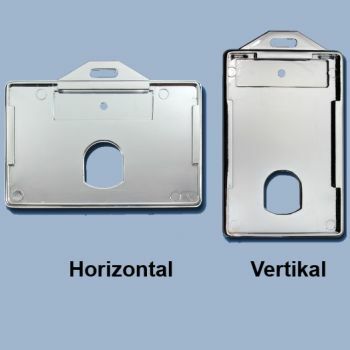 For cards printed horizontal or vertical in the cheque card format. Indication: By use of Transpondercards the reading reach can be reduced.